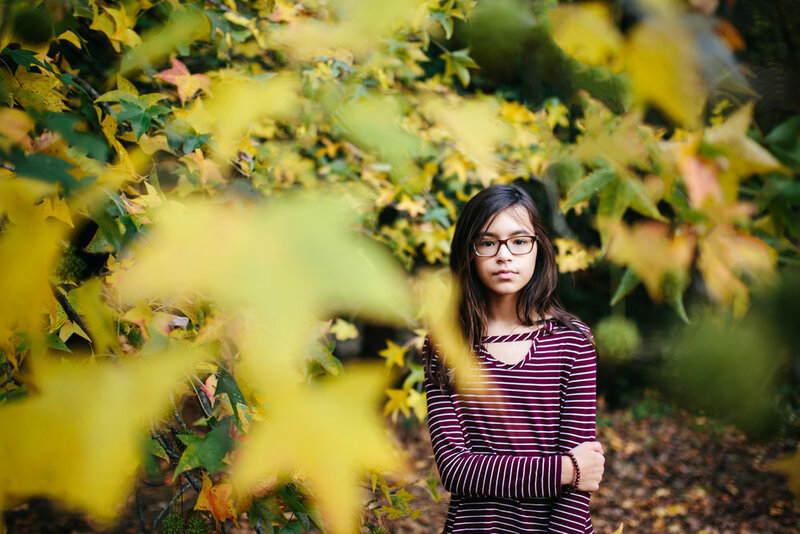 We love playing with leaves for Yasmin's portraits. This one was taken a few minutes before my Saturday clients arrived at the park. I can always count on Yasmin to help with testing the 'light'. She was also amazing at our session at Core Creek Park this weekend even though she didn't need a doll as a prize for her awesome behavior. She took advantage of the time before we took our photos to capture her own photos around Longwood Gardens with my Fuji x100f. We all had a wonderful time.